I never thought I would say this but waking up before 7am everyday is actually a great way to start off my day, as long as I get to bed before 11pm. Class is at 8am everyday so I wake up around 6:45 or 7am get ready for school and then eat breakfast while I enjoy it without having to scarf down my food in a rush. I even have time to read some of my book, play a phone game, or finish my homework. I never realized what a perfect portion size was until coming to Costa Rica when that is all that was given to me. Breakfast and dinner is cooked and provided by the host family and is enough to fill me up but not stuff me, usually. I typically only get one serving. Since lunch is not included and provided by the host families, students will have to pay for their lunch themselves. Saving money is important to me because I am not working while I am here. I usually eat what’s convenient and cheap. I have less money to spend and therefore little to waste on snacking. The meals my host family cooks are homemade, fresh, and minimally processed. 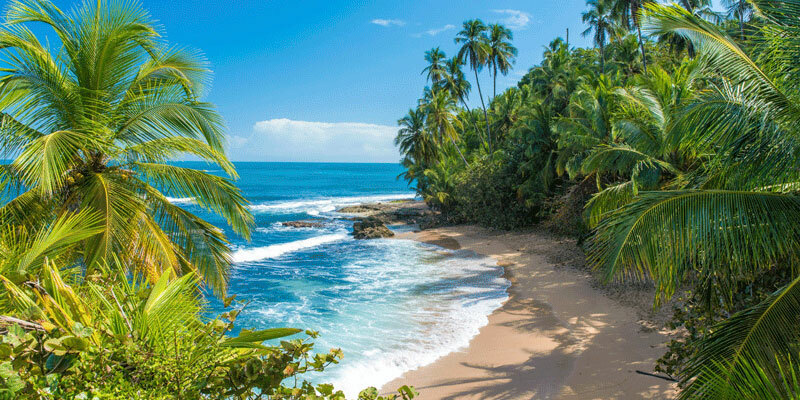 In general, Costa Rica has many options for fresh fruits, vegetables, meats, and seafood. Contrary to what many believe, water in San Jose is typically okay to drink. At the university and the International Studies Abroad (ISA) office, water jugs are there for students to use to fill up their water bottles. Campus is only about a 10-15 minute walk and the shuttle often is not consistent at actually showing up, so many students walk to campus every day and back. That’s an extra 30 minutes of exercise a day just for going to class. The university holds yoga classes twice a week, free Latin American dance class twice a week, and there is a gym nearby where memberships cost only $40 a month and include yoga, spin classes, and other fitness programs. I have been able to fit a quick workout in almost everyday because I have time to do so. I have not worn a stitch of makeup since coming to Costa Rica. I also did not bring a blow dryer or any tools to style my hair. I just let my hair air dry. While studying abroad in Costa Rica I have experienced very little stress. My most stressful situations include having to study for tests, decide what to eat for lunch, or where to go for the weekend. I am in Costa Rica studying abroad with people from all over the world and creating memories with people I may never see again. I get to share these little journeys and experiences with many other students my age. I have had a lot of free time to think and be alone without the distractions I would have in America. I have been able to fine tune in on my personal self, hopes, goals, struggles, and desires. I have the free time to work on projects such as drawing, photography, writing, and even planning for the future.